Staging your home to sell during the holiday season doesn’t mean you have to miss out on decking your halls. In fact, if done strategically, holiday décor can be the ultimate advantage for home staging during this “slow” time of year. An idea behind home staging is to evoke a feeling of warmth and comfort in the home for potential buyers. 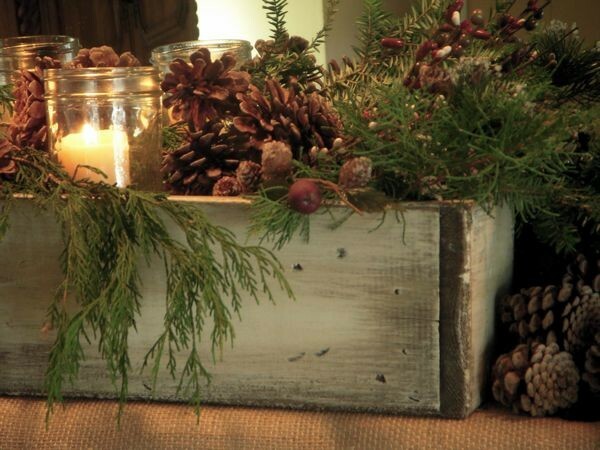 The holiday season may be cold (literally), but holiday décor is the warmest of all! Coordinate holiday décor with other colors used throughout the home. A color (or two) can be selected to carry a consistent accent throughout the home. Since additional décor items can clutter the space visually, a uniform color scheme will help to simplify the look and maintain the feeling of ample size and airy space. Consider using natural accents and a neutral color scheme. Added texture and warmth can be accomplished without featuring specific accent colors. Pine cones, dried oranges, holly, birch and poinsettias are all natural elements that create warm vibes and seasonal comfort. Refrain from using personalized ornaments and family heirlooms while the home is on the market. Buyers need to envision themselves in the home and your daughter’s personalized ballerina ornament and your cat’s stocking may impede on their ability to do so. Instead, choose metallic ball ornaments for the tree and evergreen garland for the mantel. Maintain an open and airy feeling. 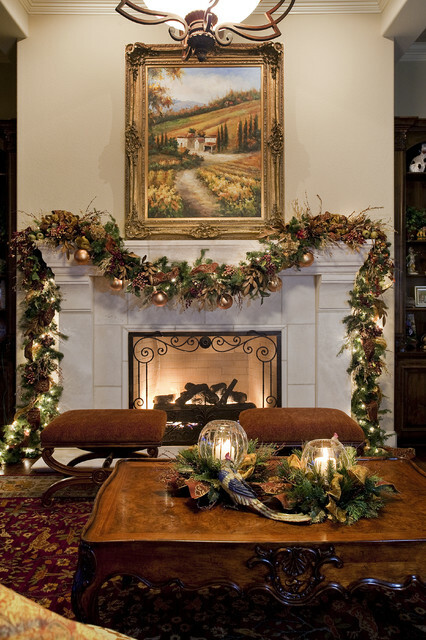 When adding holiday decor to a staged home, maintain appropriate traffic flow and control clutter. If putting up a tree, ensure it is not too tall or wide for the space. It should not bend over at the ceiling and should not impede traffic flow between furniture or rooms. Refrain from too much holiday decor. There is no need to deck out every bathroom with holiday cheer. It is best to stick to only a few main features, rather than displaying many smaller collections. As an added bonus, it will be easier to keep clean if kept minimal. Ideally, choose to decorate only the front porch/entry and a featured display the Living Room (e.g. 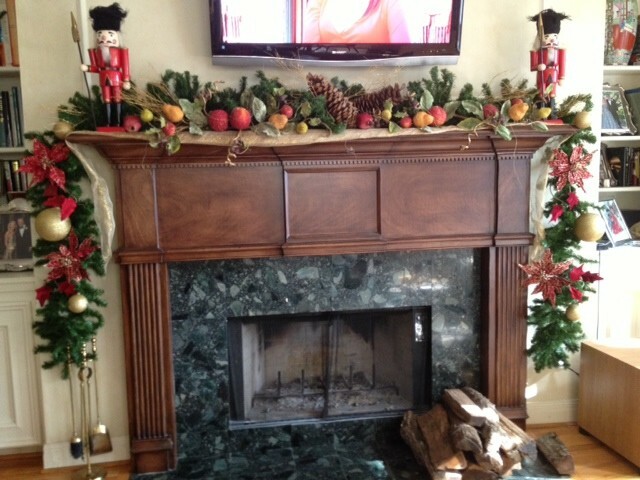 mantle and tree, mantel and coffee table centerpiece). 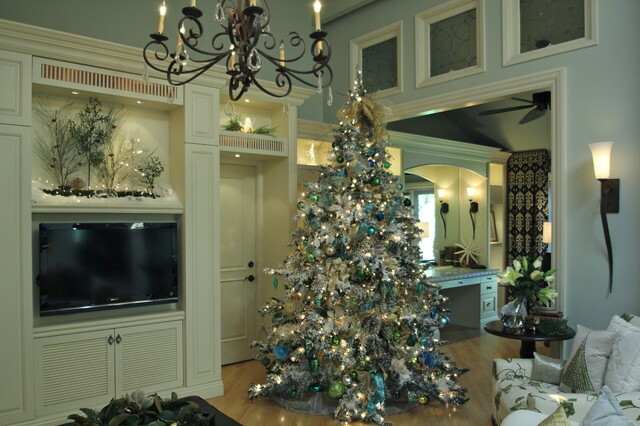 What NOT to do: Although the colors on the tree are cohesive with the rest of the home, its placement blocks a door and the traffic flow between two rooms. This home needs a more narrow tree in a different location to allow for a better experience for potential buyers during showings and open house events. Stick to winter themes, instead of religious-specific decor. While staging a home to sell, the key is to de-personalize it in order to appeal to a larger percentage of buyers. The buyer needs to be able to envision themselves living there and feel at home. Not all buyers can see beyond the furniture and decorations. Religious symbols in a home at any time of the year may not offend buyers, but they could disrupt a potential buyer from envisioning themselves living there. Snowmen, snowflakes, jingle bells, gingerbread men and nutcrackers are fun options, which show holiday spirit while remaining religion-neutral. Keep outdoor decor classic and basic. 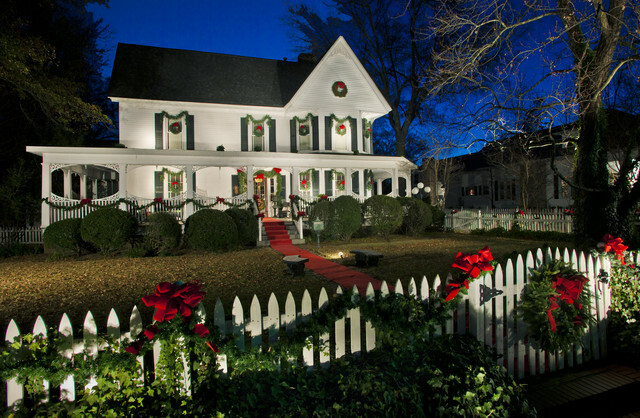 White lights and greenery with red bows are my top choices for classic outdoor holiday decorations. A pretty wreath on the door with a red bow and garland with classic white lights to outline the front door is a timeless look, which appeals to the most potential buyers. What NOT to do: Themed or inflatable decor is not appealing to the masses. Not everyone is a Star Wars fan or has kids to keep them up to speed with the latest Disney craze. Inflatables look messy and lifeless during the day when not in operation. It’s best to wait until next holiday season in your new home to display these family treasures in the yard. Your kiddos will forgive you! 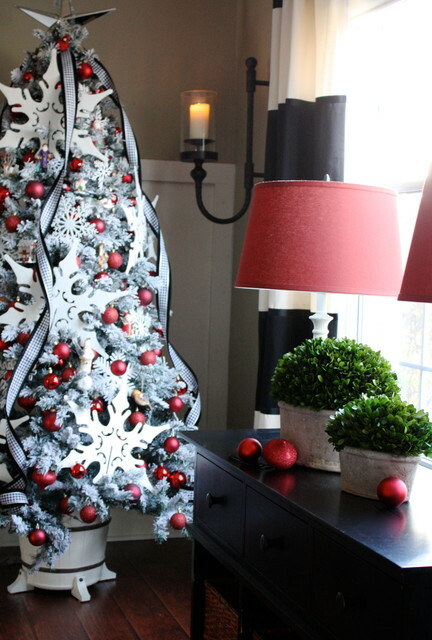 Use holiday decor to bring attention to the home’s best features. 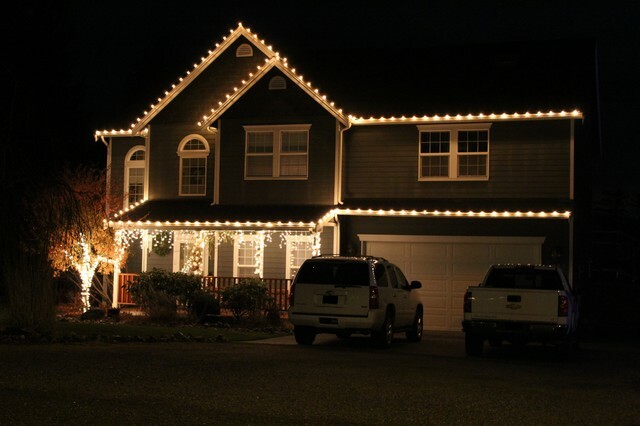 For example, use garland or lights to highlight an impressive wrap-around porch and pillars. 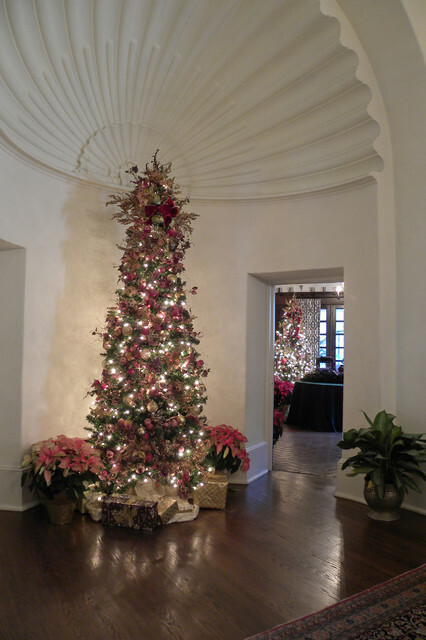 A statuesque holiday tree in a grand entryway can bring potential buyers’ eyes up to notice and appreciate extra-tall ceiling height and make a memorable first impression. BONUS TIP: It is best to have your professional MLS photos taken after staging is complete, but prior to the addition of holiday or seasonal decor. This ensures the photos are not time-specific, if the home is still on the market after the holidays. For additional tips for staging outdoor spaces, check out It’s What’s on the Outside That Counts! Home Staging Tips for the Best Curb Appeal. Sitting Pretty Redesign would love to help you get top dollar and achieve the warm inviting feel needed to sell fast! Check out our Services for Designing to Sell and give us a call!